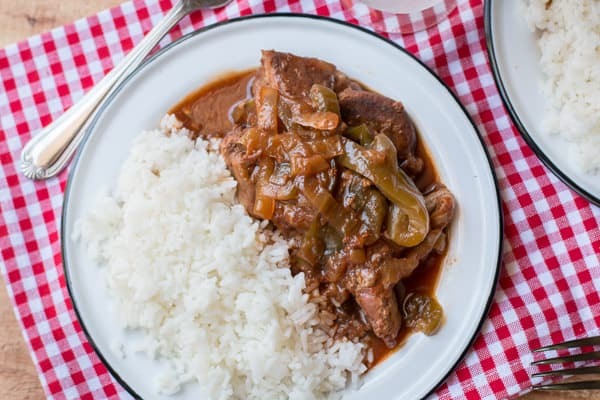 Mouth-watering Country Style Barbecue Ribs with Bell Peppers and Onions served over rice. This is an easy summer dinner recipe your whole family will enjoy! Hi all! 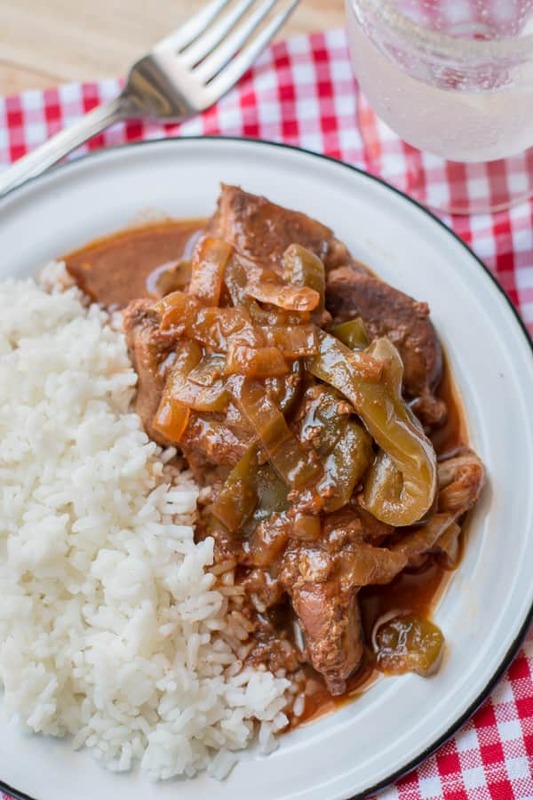 These Country Style Barbecue Ribs with Bell Peppers and Onions is such a delicious meal, and it can be made into a freezer meal! I run out of meals to make in the summer, and I really can’t stand hot dogs or sandwiches again already. I was wracking my brain trying to think of a freezer meal for this month that would be pork and barbecue, but a little more flavorful. In addition to the pork and the barbecue sauce I add bell pepper, onion, Worcestershire sauce, soy sauce and a touch of red pepper flake. Serve this meal with rice and maybe some fruit and dinner is served. Below is the photo of the meal all ready to go into the freezer (not cooked yet). These can last in the freezer for about a month. This meal does not need to be made into a freezer meal if that isn’t your thing, it can be thrown directly into the slow cooker. See the video of this delicious meal below. You can follow me on YouTube, here. Have a great weekend! 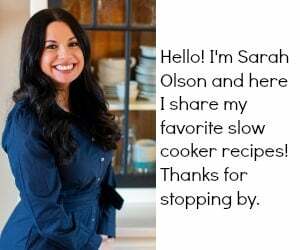 I will be back next week with another recipe for your slow cooker, stay tuned! Add the pork, onion and bell peppers to the slow cooker. In a small bowl combine the barbecue sauce, Worcestershire sauce, soy sauce, and red pepper flakes, stir until smooth. Pour the sauce mixture over the pork and veggies. 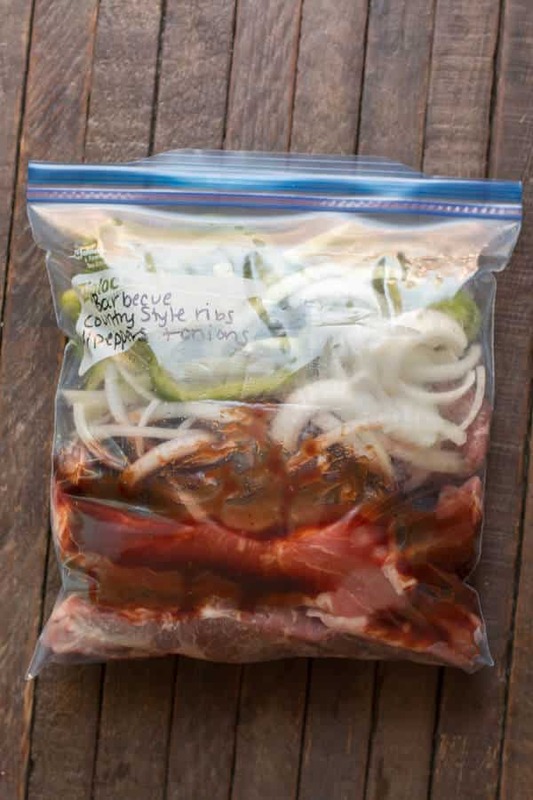 Add the pork, bell pepper and onion into a gallon freezer Ziplock bag. Mix the sauce ingredients in a small bowl. Pour over the pork and veggies. Seal the bag. Freeze the meal for up to a month. Thaw 24 hours in advance in the fridge. To cook: dump the entire bag into the slow cooker, cover and cook on LOW for 6 hours without opening the lid during the cooking time. 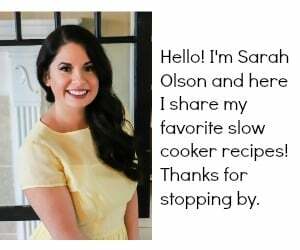 I used my 6-quart slow cooker, but a 5-quart could be used. Looks delicious and easy. I have a bag of frozen peppers and onions in the freezer. Do you think they would work if I just added them to the bag with the ribs? I think that would work great, very easy too! Sweet Baby Rays barbecue sauce . Never seen this. What can I substitute? A sweet barbecue sauce would work. Can’t wait to try. Shopping tomorrow for ribs. yummy. I fixed this recipe for dinner. I am glad I gave this recipe extra time because after 6 hours of low cooking,and no peeks, the ribs were not done. 2 hrs of cooking on high and they were fork tender and delicious. Next time I will double the onions and peppers as they were gone in minutes. Overall I am happy with the recipe, it just wasn’t cooked to tender in 6 hrs. If there is no slow cooker available would it be better to bake or cook on top of stove? I have not tried! I don’t see why not, or even in oven covered would work. Can this be cooked on high? We had a power surge here…(hungry and the smell of the baked beans I’ve made from your blog aren’t helping one bit) so we’re trying to make up for lost time. Hi Tawarna, I think that it would do fine on high! Really good. Thank you for sharing. That’s great to hear that pork chops work well in this! thanks for leaving a comment! I have a question. Are these beef or pork ribs? If you had beef ribs, would the cooking time be the same? 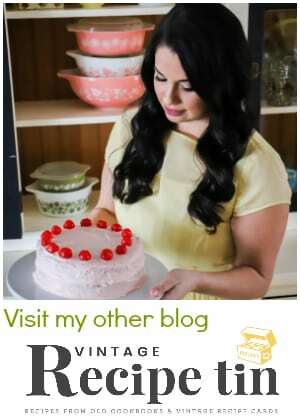 I love your site because you always include a picture of the finished product. 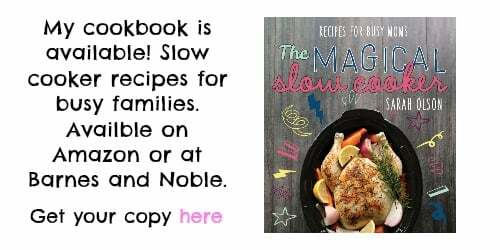 I usually have to try to print a copy or not print out the recipe when there is no picture because when I come back to it in my pile, I can’ recall what it looked like! Thank you for this!! BTW, I print off many of your recipes, they’re great!